The dress of MANY compliments! I should wear this every day. Almost everyone I saw commented on this dress. I like the bright colors! 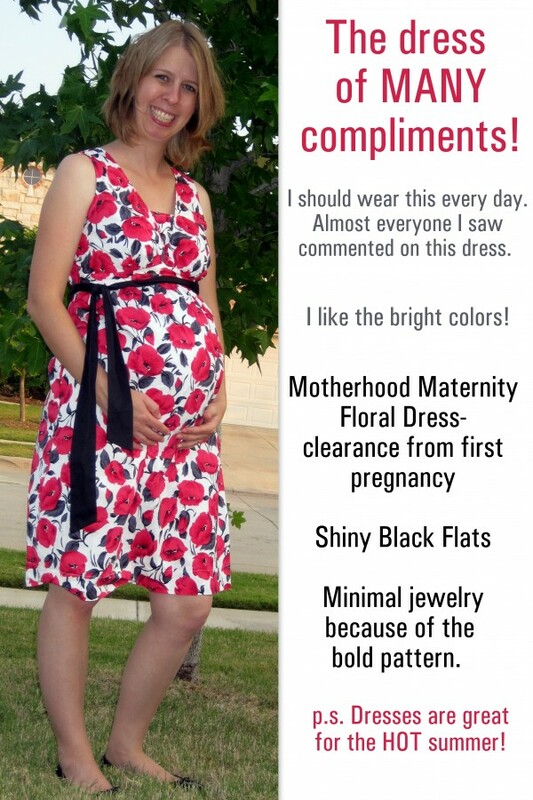 Motherhood Maternity Floral Dress- clearance from first pregnancy, Shiny Black Flats, Minimal jewelry because of the bold pattern. p.s. Dresses are great for the HOT summer!